Someone please tell me I'm not the only one!?? So, now I ask you, do you LOVE 'em or LOATHE 'em??? They are alright, but I don't seek them out. 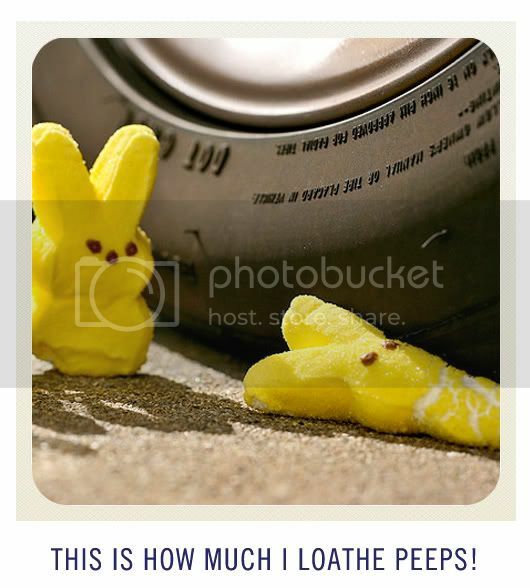 I did see a recipe for Peep s'mores that would be amazing! lol sorry. i love them :-) also obsessed with dark chocolate covered marshmellows. They are cute but I don't like them! Glad I'm not alone! Uggh! Loathe. It's like eating styrofoam! They are cute but taste horrible...very disheveling. did you know they cannot be dissolved? kind of a scary thought about what they do inside you. I happen to LOVE them...and my husband HATES them. Can't wait to share my accessory swap items. Will try to get a post up thsi week! hahaha I loathe them too! Talk about fake and sugary..ugh! I laughed so hard at that last photo..too funny! They taste awful, but that's not why they were invented. Every year at our big easter lunch the kids gather round the microwave to watch peeps explode. It's an easter tradition. I have to assumed that is why they exist, and if you dont want to be caught buying your own for these purposes there are many exploding peep youtube videos. I love the squished peep photo. Super cute. I love peeps, but I only eat their heads. I've been doing it since I was a kid. I think I thought it was super funny and it kinda stuck. I also only eat the bunnies. No chicks for me. I'm with you, girl. Yuccckkkk. There's so much other delectable Easter candy to eat! 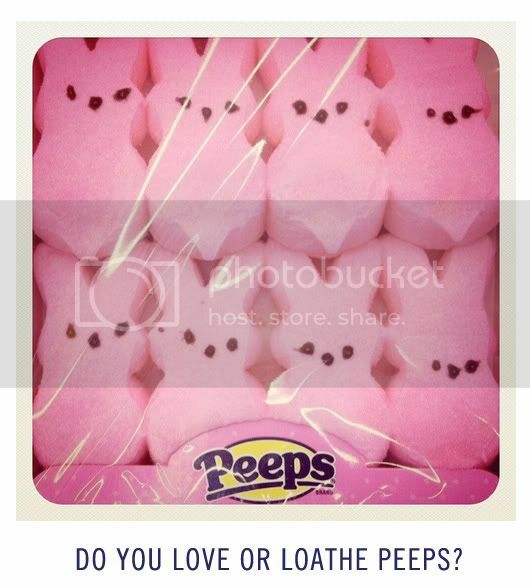 "a peep was hurt while taking this photo"
my mother loves them to death and eats them a bunch during this season but i can't stand them. i swear, every year i think i'll give them another try but re-find out that they're just as disgusting and all around 'too much' like they were the year before. thanks for informing me there's another like me out there! 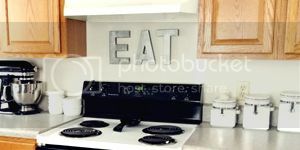 They are not appetizing what so ever.. I think they are cute & eastery though! I just realized you live in NY. I used to as well. What city? No, not for me either! My sister on the other hand loves them. I have no idea why! LOATHE! Too sweet and kind of gritty. They are so unappetizing and gross. Because so many people love them, I've tried Peeps a couple of times to see what the big deal is all about and I regretted it each time. They are so cute and inspiring to look at but I would never eat one. They taste disgusting. I think I had one when I was little and I can still remember the nasty taste. I used to love Peeps! But when I picked up a package last year and bit into one my image was shattered, I'll never eat a Peep again. GROSS.